I almost hate to write this post. 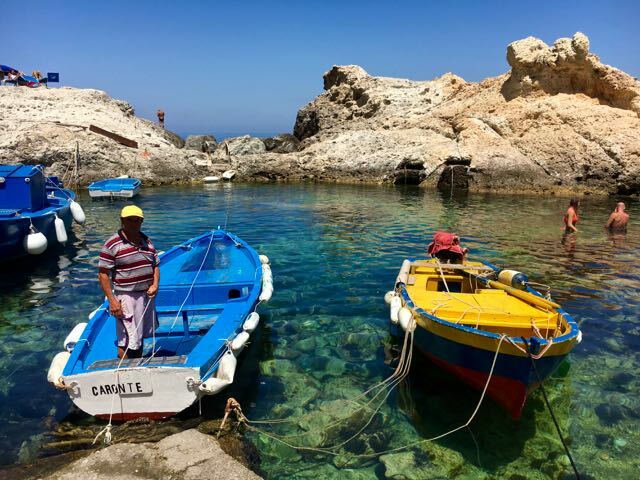 This remarkable island in the middle of the Tyrrhenian Sea is not a secret or unknown, Romans have been coming here for centuries. Ponza, the largest of the Pontine islands, is not the easiest place in the world to get to and that is probably part of its magic. Ferries and hydrofoils depart from three different towns on the mainland each of which is just over an hours train ride from Rome. Go to the Trenitalia website to book your train tickets in advance. The slowest crossing takes about 2 and a half hours. Hydrofoils are faster but the boats are enclosed. 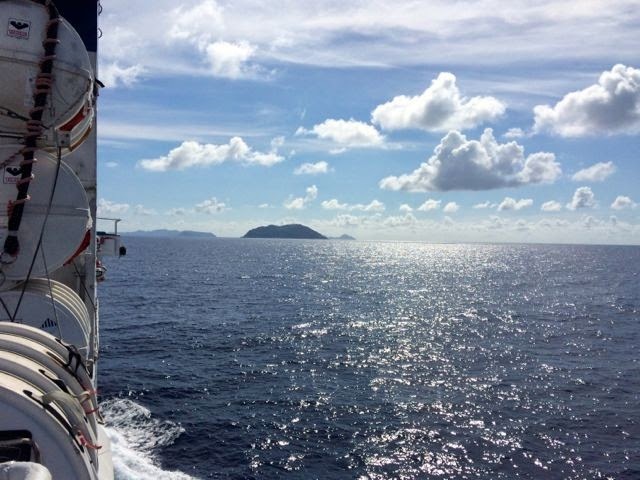 I prefer to take the slower boat and sit on the top deck taking in the sea breeze and gorgeous views. 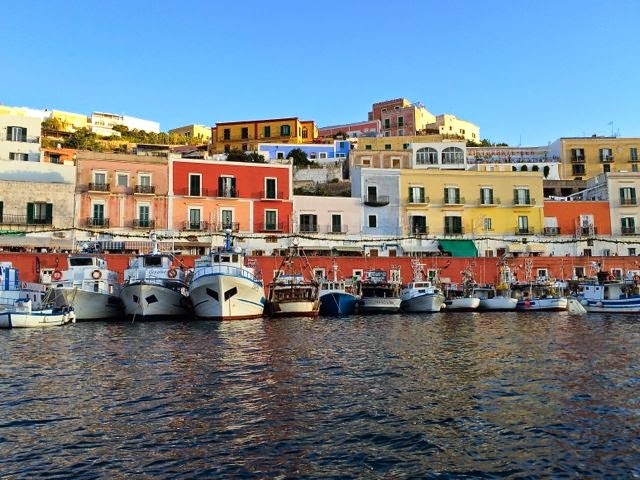 Ponza Travel has daily updates on weather and schedule changes for all Ponza connections. This option has the most steps, but when the Husband and the Teenager tried it on an early summer Friday evening everything worked perfectly. The last ferry of the day to Ponza leaves from here at 8:00pm. 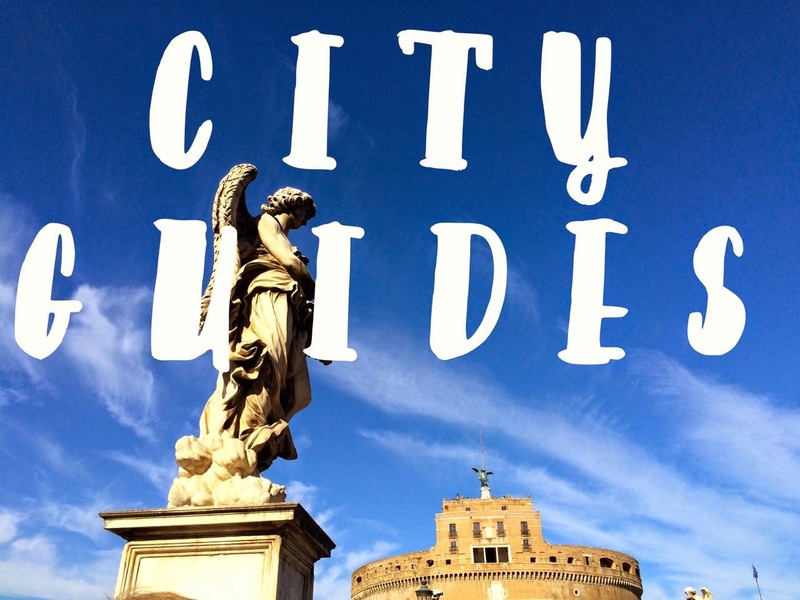 You can then take a taxi from the train station to the port or take one of two buses; There is a navette to the port (Linea A-Mare) or a COTRAL bus to Piazza Roma and then walk about a kilometer to the port. NLG has hydrofoil departures daily between Terracina and Ponza. Tickets are €24 one way. Luggage is €2 per bag. Online booking is available. Laziomar has crossings daily between Terracina and Ponza. Tickets are €13.50. Online booking is available. Hourly Regionale train service between Roma Termini and Anzio (10 stops €3.60) You can walk, take a taxi, or a bus to the port from the Anzio train station. Laziomar has daily crossings between Anzio and Ponza. One way tickets are €28. Vetor In high season there are daily crossings between Anzio and Ponza. Tickets start at €24 and are €34 on weekends. There is a strict luggage size policy with fees starting at €5. Online booking is available. This is the easiest option and there are year round crossings. There are two train options that go directly from Roma Termini to Formia/Gaeta. You can book a Regionale (9 stops €8.20) or an Intercity train (1 stop, assigned seats, AC and power outlets € 18.00.) Taxi or walk about a kilometer to the port. 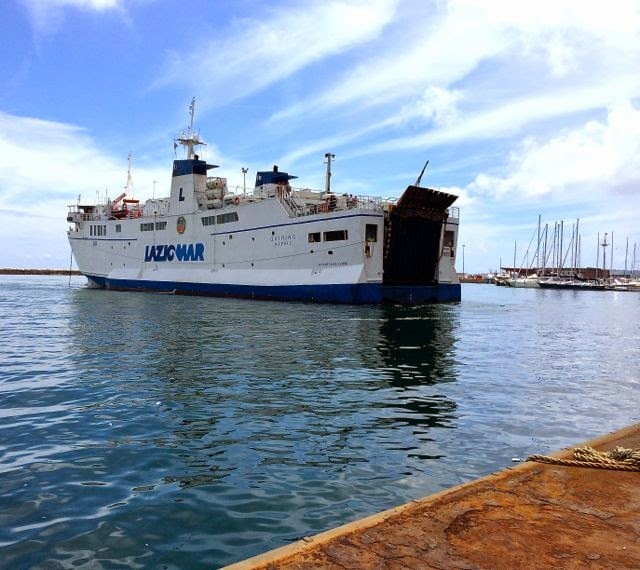 Laziomar has four crossings daily between Formia and Ponza. Tickets from €18.90 for ferry €26.70 for the hydrofoil. If you prefer to drive from Rome to the ferry, each of the three departure points has paid parking lots. You can bring your car onto Ponza with Laziomar, but there is no need for a car on the island. There are additional costs and booking requirements. Musella Viaggio can arrange transfers from Rome or Naples to Terracina or Formia Ports starting from €130. Just wondering why the easiest trip is to go from Formia over Anzio. I ask because the Anzio hydrofoil seems to give you more time on Ponza if you're only going for a weekday. Is it just a lot easier to get from the train to the port in Formia? I just did the trip from Anzio a couple weeks ago. We left from Anzio. It's an early day but we got to the Roma Termini before train left for Anzio just in time. It leaves at 507 to get to Anzio for 610 but the later train, depending on the hydrofoil timetable for the day, doesn't give enough time to get to the port. The port is almost a mile downhill and winding roads with little signage so if you can get a cab, I would. We did on the way back and it was much easier. The hydrofoil was fast and a roundtrip for one day gave us plenty time. Mike - Thank you so much for this information! I have only gone through Formia/Gaeta. This is so helpful. Hello, I was thinking the same thing. It looks like there are more boats from Formia. One question? How does one get to the port in Formia? It's mentioned for Anzio but not Formia. Thanks for your blog, its very helpful. Thank you for your blog post! This is wonderful information. Can you tell me if visiting Ponza in late May, is the ferry/hydrofoil water crossing rough waters? It is completely weather dependent! The smoothest ride will be on the "nave" slower boats. If the water is too choppy the faster hydrofoils do not run. Where does the Vetor hydrofoil arrive on Ponza? I couldn't figure it out from the website? Apologies for the delay, I just got back from a few days in Ponza :) All of the ferries arrive in the main port of Ponza. The Vetor hydrofoil from Anzio arrives on the left side of the port near the Pro Loco office. Thanks so much for this helpful blog. When I arrive in Formia, is the port far away from the train station? Hello Gillian, first of all , much appreciate your nice informative blog. I am planning to travel Ponza with my 3 years old kid in June 2017, which option best to travel? An Intercity train to Formia/Gaeta and then the Laziomar ferry from there is the easiest option. Thank you very much for nice informative blog. I need your suggestion, i am planning to trvel to Ponze with my 3 year old kid in June 2017, which option is best ? We're visiting Ponza in September (my great grandparents came from there). Can you tell me about the differences in the two boats? Is there an "inside" or shaded part to the ferry? I will have 3 children with me so I'm trying to decide which is better. I hear that the hydrofoil can sometimes be cancelled if the water is rough. All of the boats (no matter where they leave from) have inside and shaded space. From Formia where we leave from there are three boats; The Don Francesco is a completely closed slow ferry. The Tetide has an outside deck and is a (very) slow ferry. The Monte Gargano a closed fast hydrofoil. I prefer the slower boats. The Don Francesco is slightly faster and much newer than the Tetide. And yes, the hydrofoil can be canceled if the sea is rough. Thank you so much for responding. Your blog and book are greatly helping us plan our trip. Does the Don Francesco have any deck at all? So appreciate your help. I've been trying to find pictures but can't find any good ones. Your help is invaluable. Hi, this is great information. We plan to take a day trip to Ponza while we are in Rome in June. Just wondering why it would be easier to leave from Formia - rather than Anzio - because Anzio appears to be so much closer to Rome. A day trip to Ponza is a bit of a push. The ferry from Anzio is faster, but only goes if the weather is good. You don't need a car in Ponza, but you can bring one if you book it on a ferry from Terracina or Formia. Santa Domitilla is a lovely hotel. The website you mention above doesn't seem to work? And when I checked the ferry sites the English sections don't offer true time tables (its for Easter weekend). 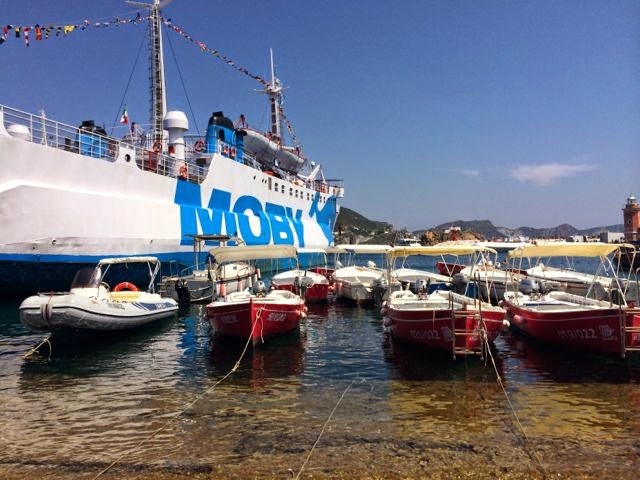 Where does the fast ferry leave from to Ponza? That is Anzio, correct? What is the best way to get around Ponza? Would you recommend a car? We are planning on taking a train from Rome. The website works for me? You can try their Facebook Page maybe https://www.facebook.com/ponzatravel/ They are very helpful and responsive if you ask for help. Hi Gillian, thank you so much for your blog, it's a great help! But I've come to a stop now: I'm trying to book ferry tickets from Formia to Ponza, but can't seem to find any booking form on Laziomars website, even though they mention that you can buy tickets online. I have no knowledge of Italian, so I'm already quite challenged there :) Do you know if it's possible to buy tickets online or should I do it in person? We're not traveling until July, so maybe tickets just aren't available yet, but being it high season, I don't want to miss out. Look for the button that says prenota on the Laziomar website. I usually buy tickets a few days in advance only if I am traveling on a weekend. Otherwise you will have to take a train from Formia to Naples. Hi Gillian, love your web site. I am planning to go to Ponza in October. My Airbnb host assures me that ferries will run to and from Formia at that time, but I can only find ferry timetables (through Laziomar and other online research) through mid-September. Is it safe to assume crossing times will be the same through mid-October? Do you know where I can find year-round timetables? Its absolutely doable! I don't recommend a day trip because there is not really enough time to enjoy the island, but it is possible. Hi we are a family with a baby visiting in July. 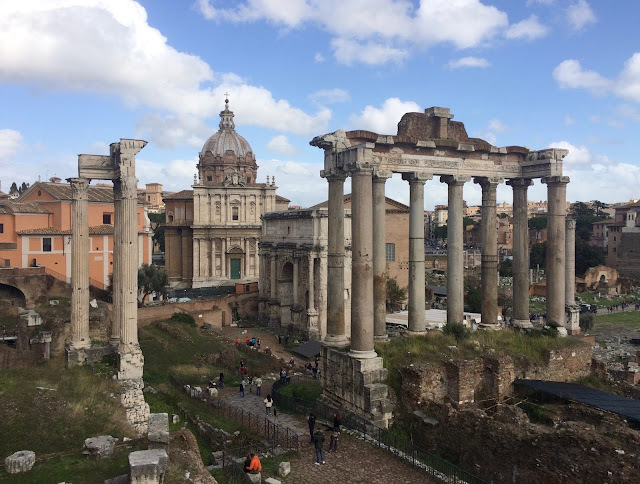 which is the easiest ferry connection from Rome, we are taking a driver? also we have an flight on the way back from Rome airport. which is the easiest way to get there ? The easiest connections are from Formia and Terracina. Thank you for the informative article. My sister and I are planning to go to Ponza on the 25th of July and spend 1 night on the island. We wanted to book ferry tickets from Anzio as the departure times are more convenient to us. You wrote that sometimes ferries don't leave from Anzio because of the weather. How big of a chance is there that this happens? I can't find it anywhere. Thank you! You can buy your tickets online directly from the ferry company. Hi Gillian, thank you for your post ! We are a family of five, we would spend a week or two on ponza. Is it easy to drive on the island ? Is it helpful ? The only way to bring the car would be to take a Laziomar ferry, right ? Is there some car/moped rentals on the island ? How do people usually move from place to place on the island ? walking, driving, bus... ? There are beach buggy and moped rentals. the island is only 7 kilometers long so you really don't need a car. The bus is also reliable if you want to go from end to end. Dear Gillian, since I´ve read this post I was absolutely sure I know everything I need to and started to plan our trip to Ponza.))) Next week we are finally going there, but there is one important question - is it needed to book tickets for the ferries online? Or is it possible to buy a ticket (without online booking) in the port? And how much time before the ferry departure time do i Need to do that? 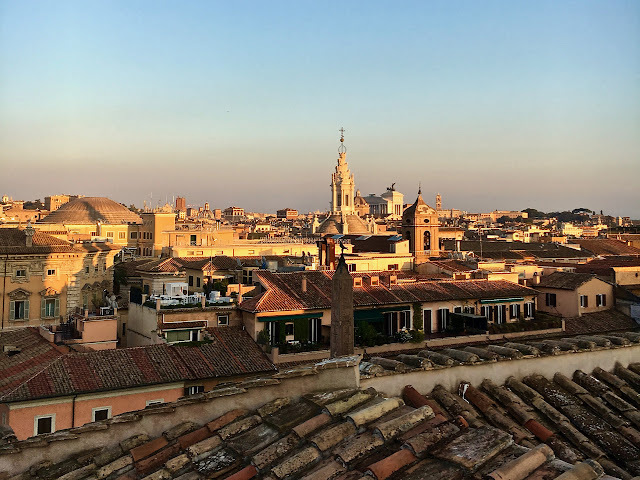 I am not sure at which time we will be able to catch the train from Rome, because we will arrive to Rome by plane and there is a possibility it will be delayed. So I don´t want to buy a ticket e.g. to Formia now for the ferry at 18:15 because maybe we will need to take that Terracina ferry at 20:00. I suggest that Laziomar has this option and that there is no problem with that, but when I look at the Vetor website, it seems like there is only one possibility to buy a ticket and that it is online booking and paying in advance - is my suggestion right? I would really appreciate if you help me with my last doubt, hotels and plane tickets and everything is paid now and it would be very sad if we will don´t get there... Thank you! I have done both (booked ahead and just showed up) and always been able to get a spot on the boat in Formia. The one time my husband took the late Terracina boat he bought his ticket at the port on a Friday evening. That crossing is the big slow boat so there should be plenty of room. You will get there! We will be there next week too. Hope to see you at the Bar Tripoli! The ticket office is at the port. We traveling to Naples in August 20-23 and than have a reservation in Ponza from 23-28. I just find out there are no ferry service on days we are traveling. Please kindly advice what other options we have, as reservation in Ponza is non refundable and we can change dates. The easiest thing to do is take a regional train to one of the ports where there is daily ferry service. I have traveled to Ponza from Naples before taking a regional train to Formia. On the way to Ponza we are fine. On August 23rd there is a direct train to Formia and 2 ferries from Formia to Ponza- 8:00am and 14:30. We can make any of them easily. My concern is the way back from Ponza. When I am cheking ferry schedule on English websites it shows only 2 crossings from Ponza to Formia - 11:15am and one in the evening 17:30. 11:15 gets to Formia at 13:45. From there direct train leaves @ 14:35 to Naples, arriving @ 15:29 to Naples Central Station. So I am left with 2 hr 35 min to get to airport and make my flight. As you have mentioned in your blog there are 4 crossings a day between Formia and Ponza by ferry company Laziomar. I checked their website and it shows 4 crossings if I understand it wright, but I do not know Italian so can't be sure. According to website's time table there is a Unita Veloce @ 6:45. This One will be perfect option for us on the way back, but I am not sure if I am understanding schedule correctly. This is our first time in Italy. How reliable is Italian train service when it comes to delays and cancellations? Can Ferry be canceled on a rainy day? Also if you can tell me how far is a ferry terminal from the Formia train station and what is a best way to get from train to ferry? There are always very early morning ferries leaving Ponza. I think the first one goes at 5am to Terracina. The Laziomar site shows a boat leaving every day from Ponza to Formia at 06:45. So that should work for you. You will find much more information once you are on the island. The staff at Visit Ponza can book your return train and ferry tickets and make sure you have the most efficient route. Trains can be delayed. It has only happened to us once and that was in the winter. An Intercity train is usually more reliable than a regional train. In August is is very unlikely you will have bad enough weather to stop boats from crossing. Thank you so much for so detailed information. It was extremely helpful. I have contacted Visit Ponza website you have provided and they already offered help with booking tickets for our upcoming trip to Ponza. This is great information. My husband and I are planning to visit Ponza in first week of May. Is it possible to travel to Ischia from Ponza during that time? We can find no information anywhere about this. We can see ferries from Ischia to Ponza but only from June. 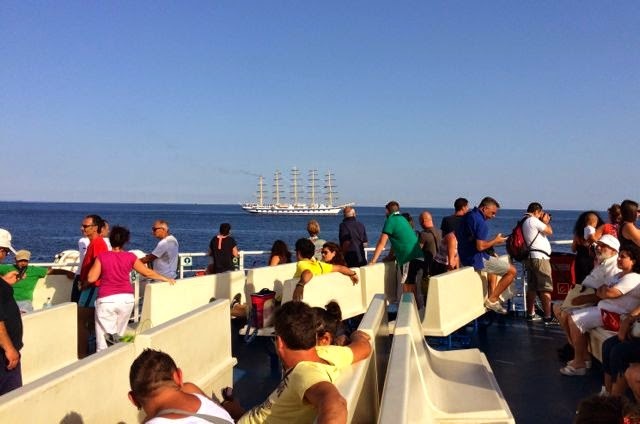 Usually ferries between Ischia and Ponza do not start until later in the season. Today I checked at the port on Ventoene (another Pontine island) and the Naples/Ischia boats only run on weekends from July -September. You can check with SNAV or the TravelPonza.it website. Hi Gillian, a terrific blog thank you for sharing your knowledge! We are travelling to Ponza next week and catching the earliest train I can find online Rome to Anzio which arrives Anzio at 7:50am and we catch the ferry at 8:45am. I now notice on our ferry ticket latest check in is 60 min before departure. I am banking on the train running to time, but my question is do you think we have ample time to make the ferry are they strict with latest checkin being 60 min? and are taxis easily accessible at Anzio train station? Thanks very much. Gillian—love your whole website—thank you for all of the great info. We will be visiting Sperlonga in August and we hope to do a day trip from Terracina (looks like the fast ferry leaves at 8:40am and comes back again right after 6pm). A few questions for you: do you happen to know if there is parking in terracina near the ferry? Do you think we can get ferry tickets same day or should we book in advance? And last Q: we’d like to find a charter boat that does a tour around Ponza (and maybe some other islands). Most of the web sites for these charters are in italian and when I email they never respond. Do you think we can arrive and find an English-speaking captain the day of by perusing the docks? Or is this kind of excursion something that we should try to pre-book? Apologies! I only just found your comment in the spam folder. Things will be very quiet in late October. If you are up for an off-season, low-key, vibe and like to hike you will have a great time. Hello, We are traveling from Fiumicino RM to Ponza around the first of May. This is our first time in Italy. Can you tell me the best way to get to Ponza? You should find all of the information you need in the post above. The www.TravelPonza.it website is always up to date with ferry schedules. Summer schedules should be available by the end of March. May 1st is a major holiday in Italy and a popular time to travel, so plan ahead and be prepared for crowds. We will be traveling to Italy the end of April-May 7th. We will be visiting Ponza, Rome and Venice. It looks like we will be taking the train from Rome to Ponza (or to the Ferry) and then from Rome to Venice. Is it best to purchase tickets individually online or is it best, money wise to purchase a rail pass. When I look at it all, it is overwhelming. I have never used a rail pass so I can't comment on it's cost benefits. 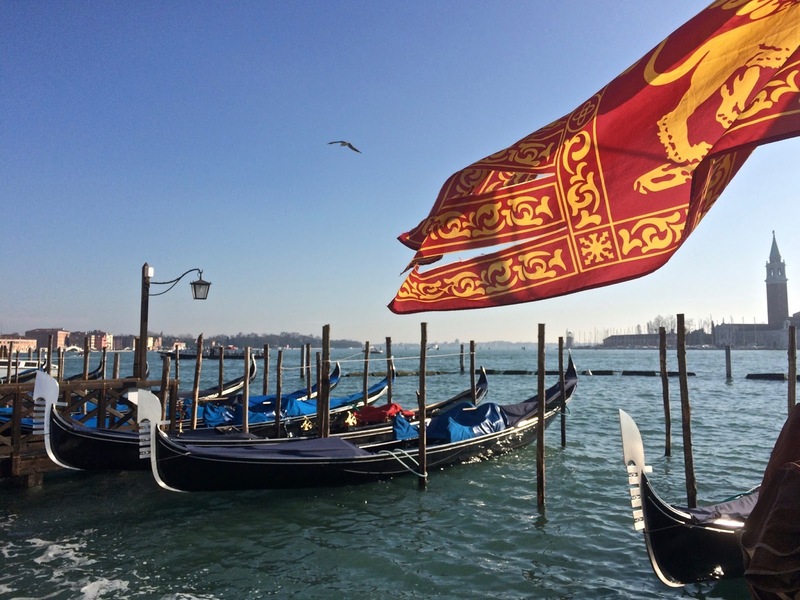 If you book ahead online you can usually get good fares between Roma and Venice. Check both Italo and Trenitalia. The fast regionale between Rome and Formia or Roma and Anzio where the ferries leave from is a fixed price.